Generates statistical reports and graphs for all events in the system such as counting objects and people, abandoned objects and face detection among others. 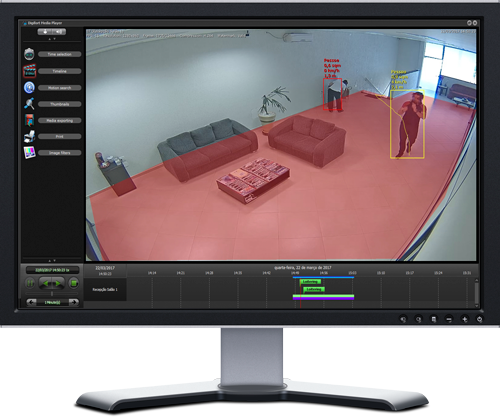 It has several advantages such as: advanced algorithm for detection and tracking of objects, easy configuration and operation, efficient and uncomplicated solution. This module due to its high processing requirement needs its own server, which can process up to 30 cameras utilizing analytics. Licenses are sold per camera and can be used with any system camera, either IP or thru encoders. 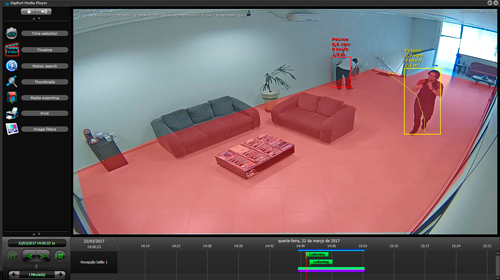 Analytics follow specific rules and require properly trained personnel in order to get the desired benefits, each analytical module has its characteristics and unique set up for its proper functioning such as: camera height, positioning, adequate lighting, customization rules.